One of the most frequently asked questions I get from clients is: what should I feed my kids for breakfast? Many parents are time-poor, and choosing a healthy breakfast for kids can be a struggle. But by feeding your kids a balanced breakfast, you can set them up for the rest of their day. 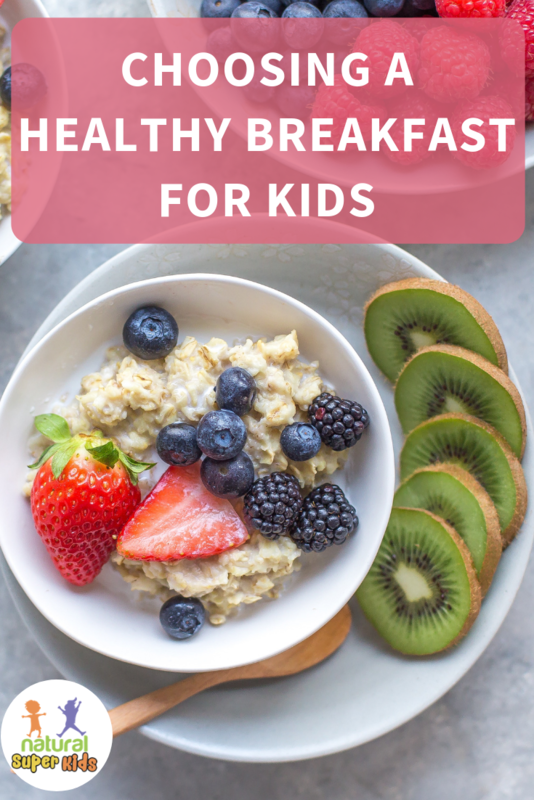 Watch the video below or keep reading to learn about how to create a healthy breakfast for kids. Why is a healthy breakfast important for kids? They say that breakfast is the most important meal of the day. For kids, the right breakfast can support learning and concentration throughout the day. A balanced meal can regulate blood sugar levels, giving them steady energy and improving their moods. Balanced blood sugar levels also mean they’re more likely to opt for healthier options later. It really can set the trend for the whole day! We’ve been encouraged to opt for ‘breakfast foods’ like white toast and refined cereals. But unfortunately, these foods have very little in terms of nutrition. Companies might add things to make them appear healthy, like a high-fibre grain, dried fruit or almonds. But really, all this does is mask the amount of refined carbohydrates and sugar in these products. Typical breakfast foods are not good for kids, particularly when it comes to their energy, mood and ability to learn. 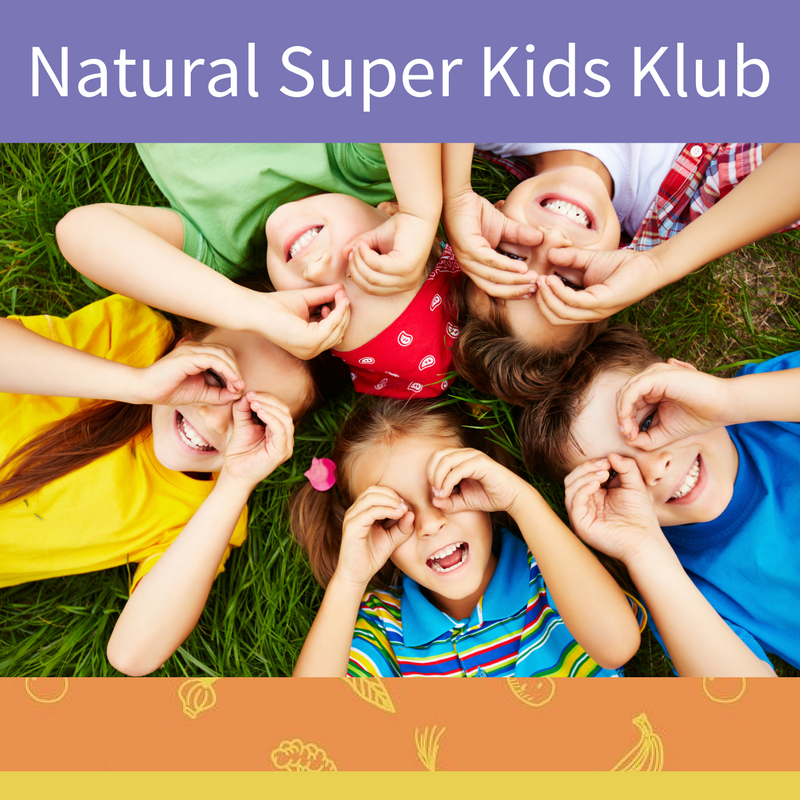 The average kid’s breakfast is lacking in two key macronutrients – protein and healthy fats. When it comes to a healthy breakfast for kids, you can’t neglect the protein. Protein is essential for the growth, development, recovery and repair of the body. Because of this, kids have a greater demand for protein. Protein is also needed for hormones and enzymes, keeping the normal processes of the body running smoothly. For protein, you want to aim for a serving the size of their pam at each meal. Most kids will get this serve at dinner, but not throughout the day. Very few will be getting it at breakfast time. So what proteins can you include in their breakfasts? Eggs, nuts and meat are some of the best options. Good-quality eggs are nature’s superfood, with a wide variety of nutrients. When it comes to eggs, quality is key. Free-range, pasture raised chickens are fed their natural diet, so their eggs contain more nutrients. On the other hand, commercial eggs that are cage or the minimum standard for ‘free-range’ will contain less. When using eggs, don’t remove the yolk! It’s where a lot of the nutrition is found. The yolk contains fat-soluble nutrients like vitamin A, vitamin D and vitamin E that are essential for healthy children. Meat can be a good option for breakfast, especially for kids with allergies or intolerances to other proteins. But it’s best to avoid highly-processed meats like bacon and ham. Most are full of preservatives, particularly nitrates. Nitrates are a known carcinogen, so you want to minimise intake. If your child loves bacon and ham, look for nitrate-free options at your local butcher or health food store. For healthy fats, it’s best to stick to natural sources of fat. Good breakfast options include nuts, seeds, eggs, avocado and dairy products like yoghurt, milk and butter. A healthy breakfast for kids can still contain carbohydrates and sugar, but you want to make the right choice of carbohydrate. Refined products like white bread and processed cereals cause fluctuations in blood sugar levels. At first, this will boost their energy and make them feel good. But soon after, they’ll crash, which leads to tantrums and low moods. It also makes a negative impact on learning. Instead, we want to balance their blood sugar levels with wholegrain options. Oats, buckwheat, quinoa, spelt and rye are some good choices. Nuts and seeds also contain complex carbohydrates. Fruit and veggies are also fantastic options. Including vegetables at breakfast can be a good strategy for kids who are fussy at dinner. There’s no reason why you can’t include some raw veggies sticks or a side of avocado or tomato. This will boost their intake of vegetables without having to load them up at dinner time. 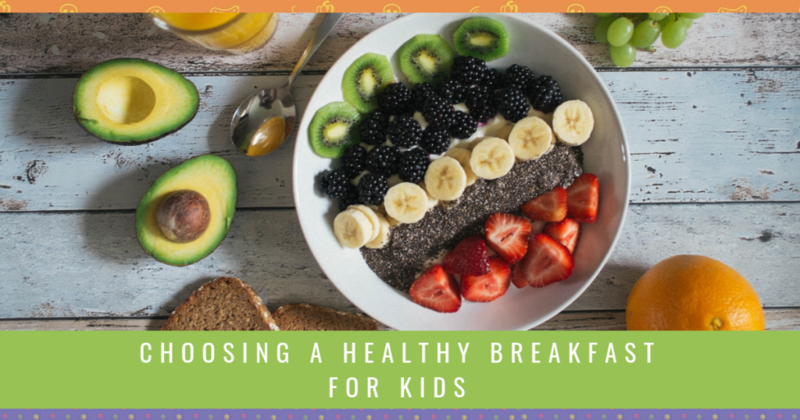 Now that you know what you need to create a healthy breakfast for kids, it’s time to inspire you with ideas! These are some of my favourite healthy breakfast ideas. We love to combine oats with nuts, seeds and coconut, then top with fresh fruit, yoghurt and milk of choice. This ticks off each nutrition box, and is quick and easy to make on the spot. You can also prep it overnight by making overnight oats. Soaking the ingredients overnight in milk can make it more digestible, particularly for kids with digestive issues. This uses many of the same ingredients as muesli, but needs a little bit of prep time. Melt some coconut oil, add some cacao for a chocolate flavour and some pure maple syrup or honey. Coat the oats, nuts and seeds with the mixture, and bake in the oven for around 15 minutes. This is a great option for kids with low appetite. You can pack plenty of nutrition into a good smoothie! Add some fruit and veggies like celery, cucumber, avocado or spinach. Pop in a flavour like cacao or cinnamon, and blend with your choice of milk. One of our favourite breakfasts is my date and pumpkin loaf. A good breakfast loaf will be full of nuts, seeds and eggs. The best part is that you can bake them in advance. There are so many ways to use eggs in a healthy breakfast for kids. For busy mornings, you can make eggs with a good wholegrain or sourdough bread. Add a side of veggies, whether it’s avocado, mushroom, sauteed spinach or tomato. My daughter loves having a side of raw carrot and capsicum sticks. Mini egg muffins are another family favourite, and are easy to make ahead of time. If your kids love pancakes, you can make banana pancakes using one banana and one egg mashed together. Add some nut butter to the batter for a dose of healthy fats. This can still be a nutritious option if done right. Start with a good-quality wholegrain bread, and add some wholefood-based toppings. Try avocado and tomato or cheese, tahini and banana or nut butter and banana. For the weekend, make some French toast by dipping it in egg and cinnamon, then top with berries and yoghurt. Some kids actually prefer a savoury breakfast. Over winter, a bowl of soup can be a great choice. There’s also no reason why you can’t use leftovers from dinner, particularly for kids with allergies or intolerances. You might be thinking ‘my kids will never eat wholegrain bread or drink green smoothies!’ What you need to do is make changes slowly. If they are eating processed cereal for breakfast, make some granola and sprinkle a little bit over their cereal. If they accept the changes, slowly increase the granola and reduce the cereal. The same goes for toast – offer them their white toast, but with a healthier topping. Or you can switch to a non-bread breakfast if they can’t accept a healthier bread option. Any way that you’re adding nutrition to their diet is a win, particularly if they’re resistant to change. If they like pancakes on the weekend, start by adding a teaspoon of chia seeds to the batter, or add a few blueberries on top with the maple syrup. By adding in nutrition instead of taking out the less healthy options, your kids won’t feel deprived, and are more likely to make the change. 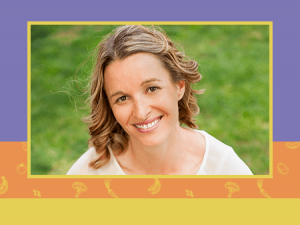 Now you have gained inspiration around healthy breakfasts for kids. But you may want some healthy snack ideas too! 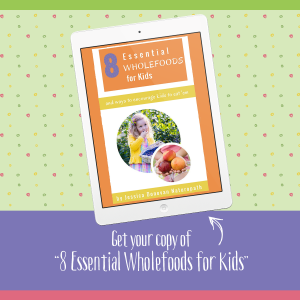 Make sure you download my FREE ebook – 15 Quick & Easy Healthy Snack Ideas For Kids.